The food in Nepal really was like no other I've tasted before. Writing this blog is somewhat difficult as it makes me miss all of the wonderful dishes I tried whilst in Kathmandu and on the trek itself. Read on, if you'd like to reminisce from your time in beautiful Nepal or if you'd like to get excited about what's to come. First things first: The wonders of Namche Bazaar and it's lovely bakery. They manage to bake all sorts of treats at 3,400 metres high, and even have a microwave to heat up your goodies in too. I opted for a warm chocolate brownie, whilst Jess opted for a chocolate marble cake and Amy had a warm cinnamon roll. As to be expected, they weren't the best cakes we'd ever had. But when you've trekked for 3 days and need a treat to boost spirits, they did the job perfectly. I would 100% recommend heading here on the few days you get in the bazaar. A delicious lentil curry, served with rice, a selection of seasonal vegetables, pickle and a form of naan bread. Usually, in tea houses it's made in such large portions that you can often have many more refills. It's the best option if you're feeling exceptionally hungry after trekking. Another fantastic thing about the teahouses, is due to their limited supply of meat they make some fantastic vegetarian options. From veggie burgers & chips to veggie pizzas. The choice was cracking. The breakfast selection in the teahouses was outstanding. The produced meals that would fill you up for your mornings trekking and would taste delicious too. A couple of my staple favourites were french toast, chocolate pancakes, porridge or egg on toast. A staple of Nepal that you have to try is the momo. Pictured left, you can opt to have them steamed or fried, savoury or sweet. Veggie momos were available in tea houses along the trek, but the best ones I tried were definitely from the Momo hut. Momo hut is around about a 3 minute walk from the hostel, so you'll be able to find out for yourself when you're in Nepal. Far left, you can see the best Momos in the world. 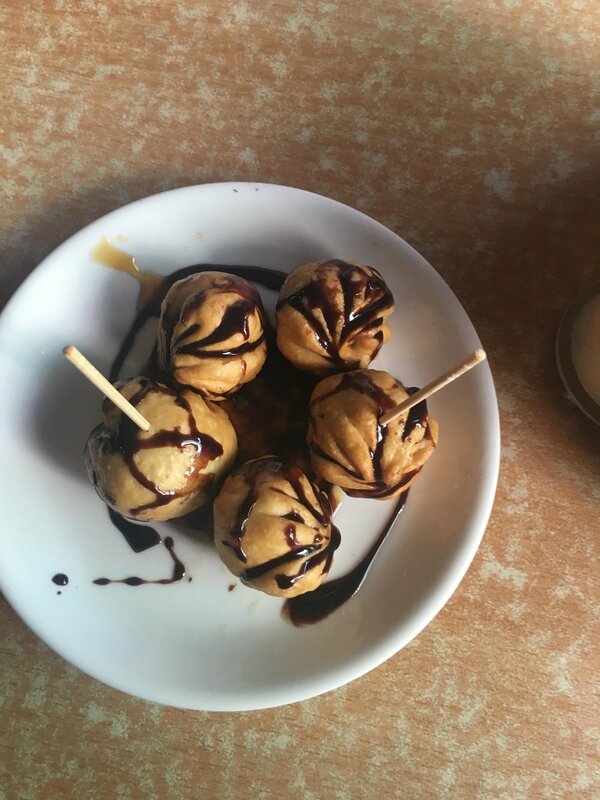 They are essentially a deep-fried snickers with chocolate sauce. We got 5 to share, but I'd definitely recommend ordering more if you're hungry as they are tiny (similar size to a profiterole). Left, you can see steamed momos. They are very similar to dumplings I've had before in the UK, but about 3 x better. You can have them with meat or vegetarian and they are so filling and delicious. Kathmandu had some fantastic markets, and everywhere I turned there'd be a different food that I'd start to think about. When rumour went around our group of a delicious falafel bar in Sagamatha Bazaar I knew it was something I just had to try. Falafel is one of my all-time favourites, and this place did not dissapoint. For an extremely reasonable price we managed to get a very filling lunch (pictured right). I opted for a falafel wrap, which not only contained falafel and salad, but also hot sauce and chips. It was amazing, and super filling. Sophie & Isaac opted for their falafel bowl, you could have this with chips or salad and again was the perfect afternoon snack or meal to keep us going whilst exploring the bazaars and souvenir stores. It's all well and good talking about the food of Nepal, but I definitely need to mention the drinks available too. And, more importantly the cute little bars sprinkled about it Kathmandu too. Pictured left, the lovely Fran and I explored some wonderful coffee shops in Kathmandu. One particular delight was the Himalayan Java Coffee Shop. I was in desperate need of a caffeine boost and their filter coffee provided me with just that. I'm a bit of a coffee snob, so was very happy to find a tasty coffee that was able to boost me up for a day of exploring the Nepalese sights. Fran opted for a more adventurous mint lemonade. It was essentially a virgin mojito. Perfect for a hot day, to refresh yourself in the morning or to cure a hangover from a wild night out in Club Ibiza. The cafe itself is also super relaxing and had lots of tourists in their reading and chilling. A top spot if you want to find some peace and quiet away from the busy streets. There are also plenty of places to get some cracking cocktails. We found a lovely bar down a small market alley, with a pillow-seating area, offering 2-for-1 happy hour cocktails. Although this was just before we started trekking, so I went safe with a Mojito; some from my group went wild ordering all sorts of random flavoured drinks. It's a must if you love a cocktail and a quirky space to chill. Lastly, the variety of beer available in Nepal is fab too. 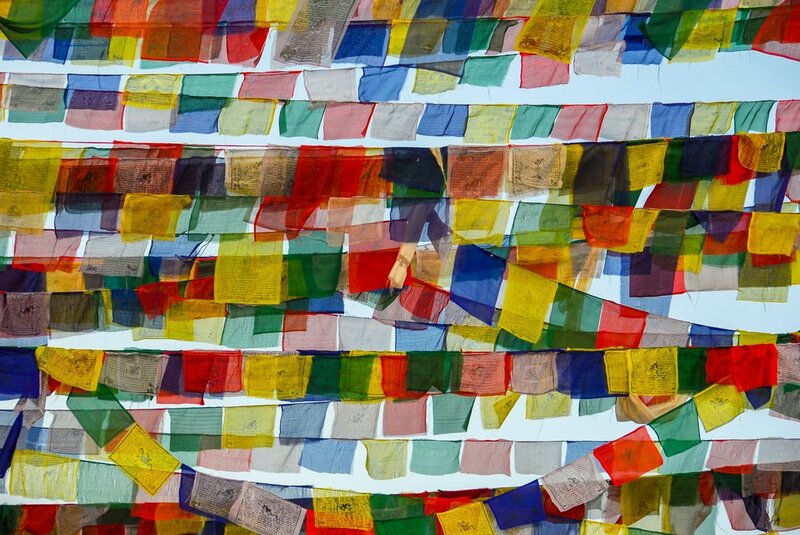 Along the trek, you'll find most tea houses stock Everest, Ghorka or Sherpa Beer. All are quite refreshing options, although I didn't opt to drink until we got back to Lukla on the last day of the trek (altitude and alcohol aren't a very good combination). But I managed to try each beer a couple of time in many different places around Kathmandu itself. I definitely would say Sherpa was my favourite. Finally, there are so many cool restaurants you must try if you get a chance. Whether you're looking for a light bite, a dessert or dinner you can find so many places in and around Kathmandu. A favourite of mine was OR2K (pictured right). Here, you must take your shoes off at the door and walk through the restaurant bare feet to your table. They seat you on comfy cushions where you can sit cross-legged and enjoy lots of different treats. 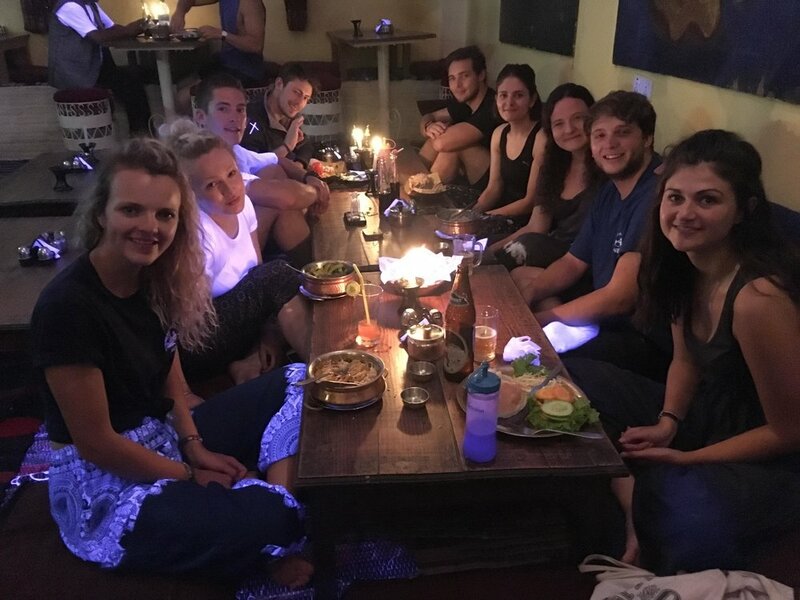 One thing I loved about Nepal, and definitely bought back to the UK was my love for Vegetarian options, and OR2K serving mostly vegetarian dishes, did not disappoint us. I opted for a falafel veggie burger, it was huge and really helped me get a little Nepalese-style home comfort. Others enjoyed pizzas with numerous random toppings, or went for a classic Dhal Bhat. There really was so much choice. Overall, I can easily say looking back, Nepal is one of the best places to try a whole new way of cooking and new style of food. If you've never thought about going vegetarian before, Nepal will give you so many different recipes to try which may just convince you. I still crave Dhal Bhat on a weekly basis. So if you're heading out there this Summer, enjoy it, try things you may not have thought of trying before and explore Kathmandu - there are so many hidden treasures just waiting to be found.